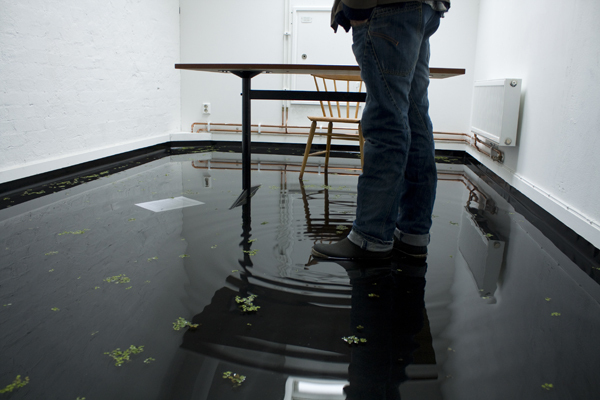 A flooded abandoned studio on the fifth floor of Malmö Art Academy creates a mirror surface, a black void, reflecting the architecture of the space itself displacing its solidity and hiding the dept beneath. 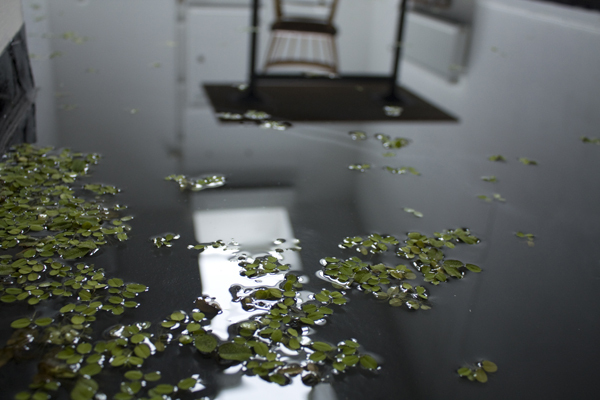 Floating plants seemes to have formed in the water and an audio loop of subtle bird whistles sounds from whithin the room. The title: If humans were gone at least a third of all birds on Earth might not even notice, is a statment by ornithologist Steve Hilty noted in the book The World Without Us, by Alan Weisman. The work combines ideas of the non-site, in how Robert Smithsons understood this concept, with a dystopian setting hinting towards risen water levels possibly due to climate change. ‘"...If one wishes to be ingenious enough to erase time one requires mirrors not rocks." 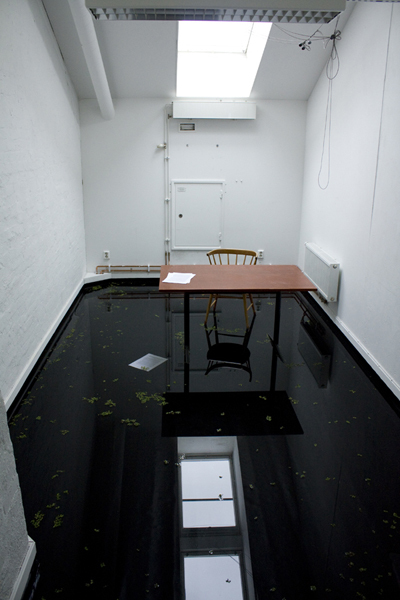 Room, desk, chair, linoleum floor, water, floating plants, audio loop (birdwhistles).